CARB and EPA compliance solutions for sale in a complete repower package, including a 07 compliant Cummins Recon engine, DPF unit, engine up-fit and electronic installation kit-Kustom Truck. BEFORE: 1988 Peterbilt 379 with a 1988 EPA certified 3406B model Caterpillar engine. This truck was originally only CARB compliant through 2012. AFTER: 1988 repowered Peterbilt 379 with a 2007 EPA certified Cummins ISX engine. This truck is now CARB certified through 2023. CARB and EPA compliant repower packages that include a Cummins OEM reman 07 compliant engine, engine up-fit package installed on the engine prior to shipment, a DPF unit that is properly spec’d to the reman Cummins engine, an engine harness kit, an exhaust piping kit, a cooling package, and the required interface parts. Cummins 07 platform engines are available in either the ISM Cummins Engines or ISX Cummins engines in a range of horsepower options. 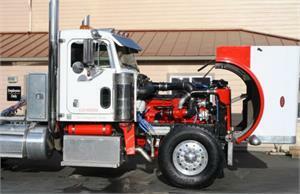 Prior to the purchase of your next CARB and EPA compliant repower package, contact Kustom Truck. All of our Cummins OEM products come complete with registered Cummins OEM warranties serial number specific in the purchasers name through any authorized OEM Cummins engine dealer or distributor in the USA or Canada. For more information or to spec a solution for your truck or glider kit call toll free: 1- 888-564-8890. 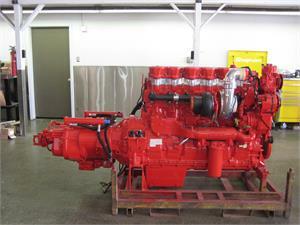 Repower Packages for Sale, CARB Compliance, Engine Repowers, Diesel Engine EPA Compliance, Cummins ISX Engines for Sale, Cummins ISM Engines for sale.